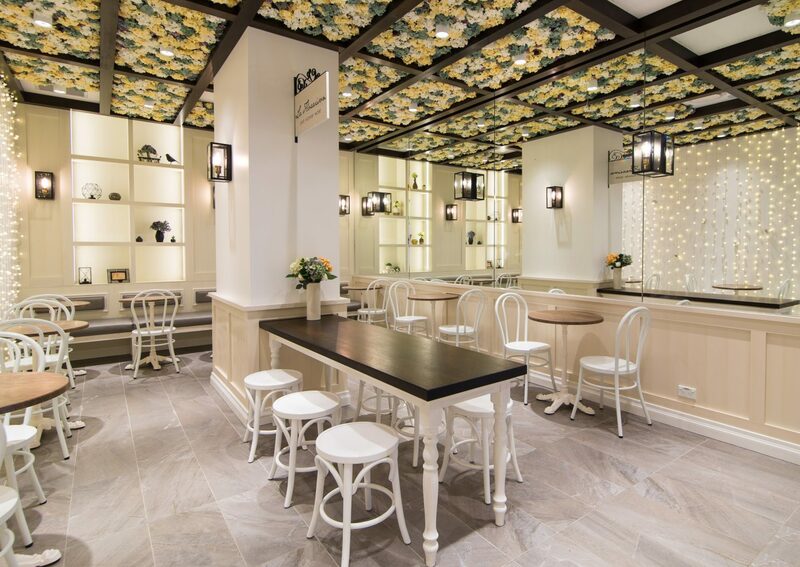 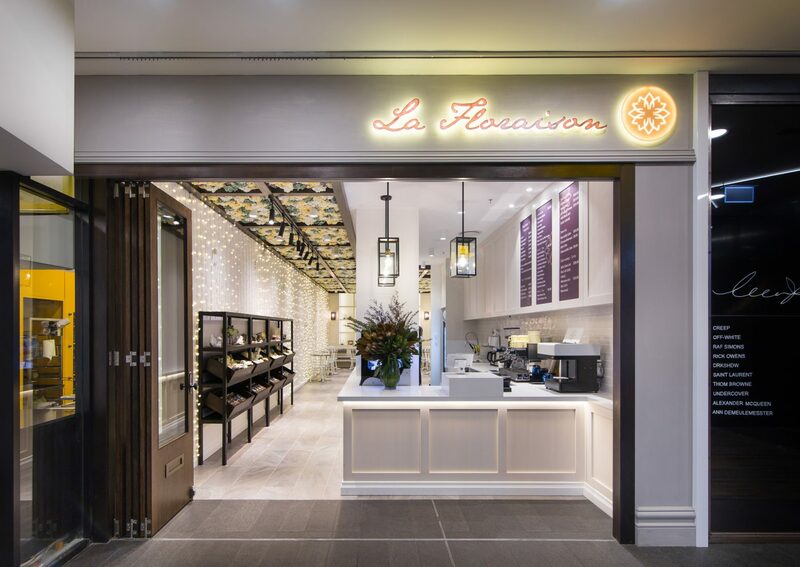 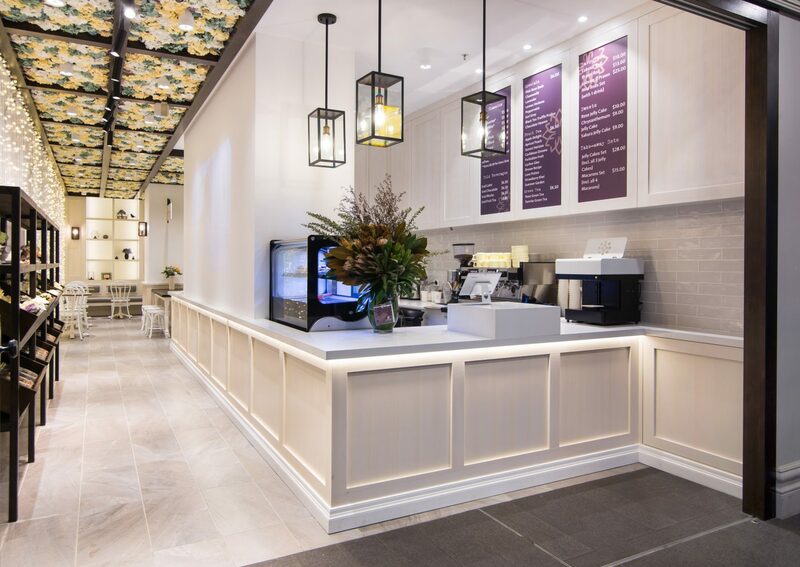 Located in the heart of Sydney CBD, Regent Place, La Floraison is a café of rest and relaxation – a retail space specialising in the sale of flowers, tea, coffee and desserts. 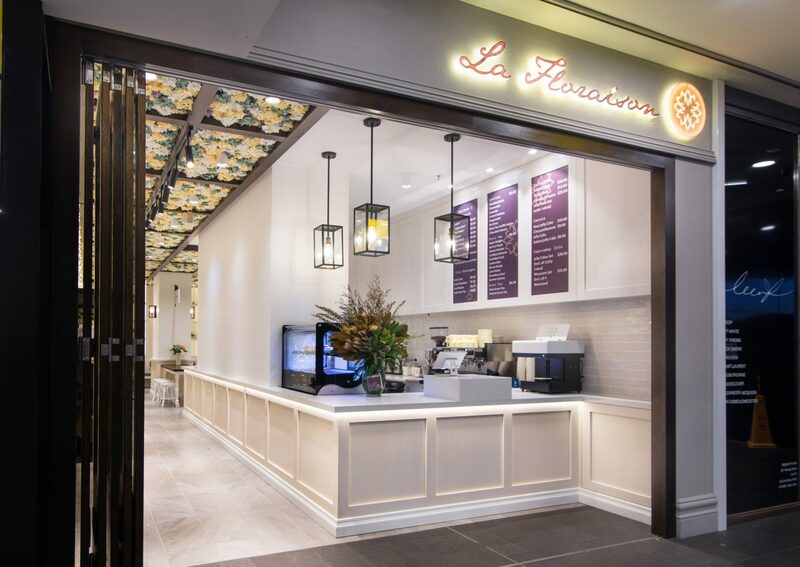 Inspired by the classic Parisian café culture, the design of La Floraison reflects elements from the French provincial style, with decorative motifs and furniture that evokes a sense of a Parisian courtyard. 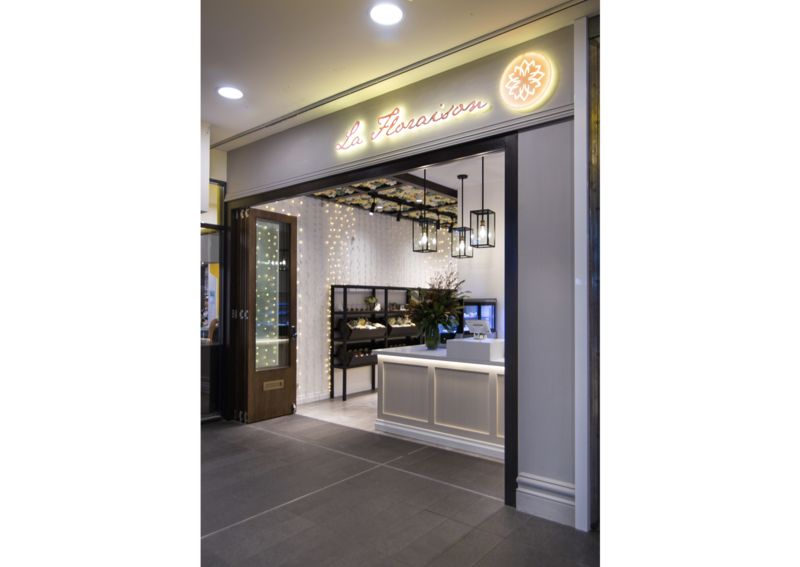 A classic shopfront of clean frames and glazing are used to draw patrons in, allowing an opportunity to get a glimpse of the interior before entering. 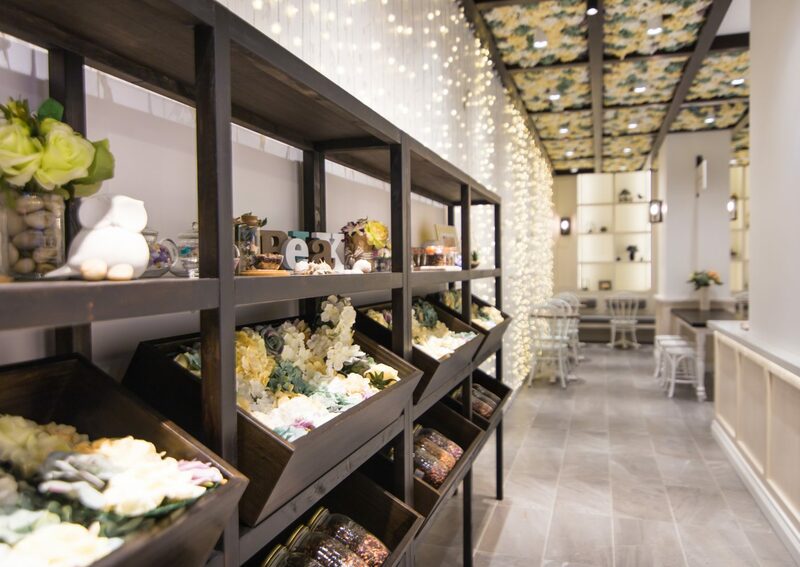 The façade uses darker tones to introduce a sense of masculinity to contrast the feminine floral motifs. 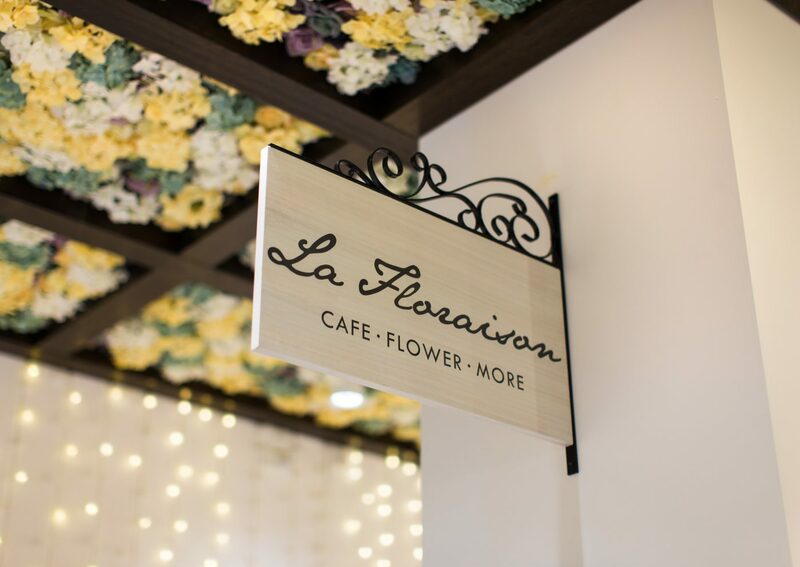 An iconic flower wall feature is the main point of attraction in the interior as it reflects the nature of the café’s brand. 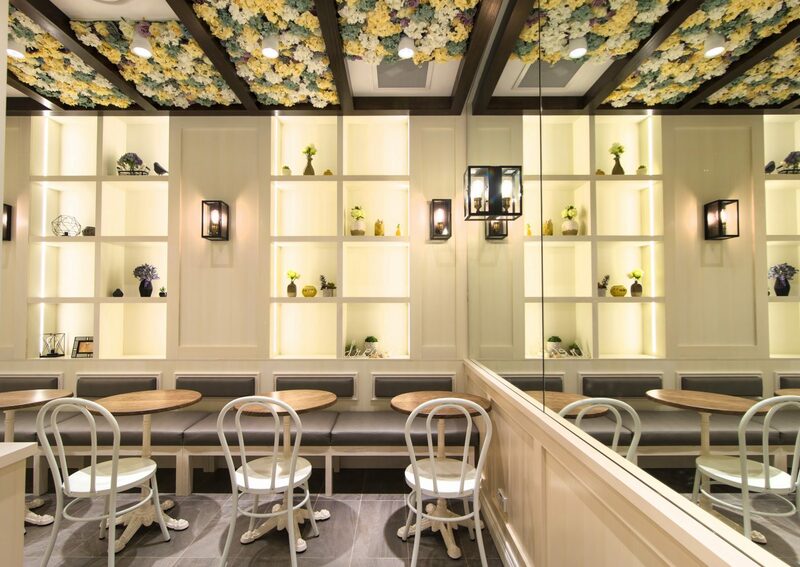 The lightweight and organic style of the flower wall has created an illusion of more space within the interior. 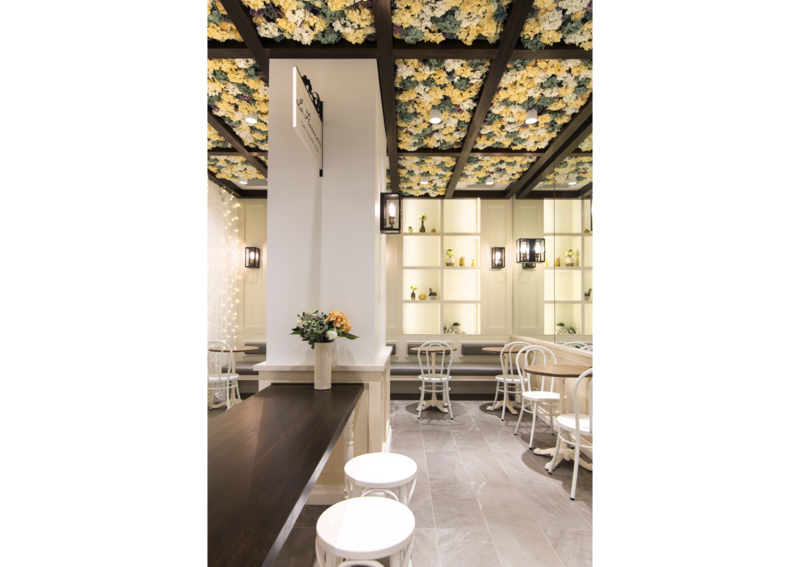 An abundance of flowers fill the ceiling as the canopy is paired with concealed ceiling lighting to enhance the idea of being in a Parisian courtyard.